THIS PERFECT LEVEL CONDO ON THE 5TH FLOOR HAS BEEN COMPLETLY REMODELED. THIS IS A MUST SEE WITH BEAUTIFUL FANTASY GRANITE, NEW WHITE SHAKER KITCHEN CABINETS AND BOTH BATHROOMS INCLUDED. NEW SINKS, LIGHT FIXTURES, ETC. THIS FRESHLY PAINTED CONDO IS BEAUTIFUL AND TILED THROUGHOUT MASTER AND MAIN LIVING AREA. BEAUTIFUL NEW CARPET IN THE GUEST BEDROOM FOR THE SNOWBIRD THAT WANTS WARM FEET! Directions: From 59 Turn East And Go Approx. 7 Mi. 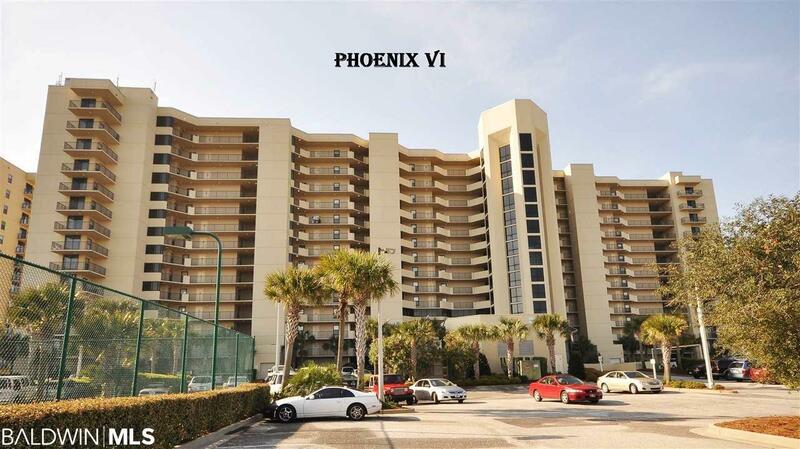 Building Will Be On Your Right Before The Perdido Beach Bridge.